This audio CD teaches on the importance of knowing God's will for healing, the importance of team unity, persistence in receiving prayer - all while sharing multiple testimonies and stories of the miraculous healing power of Jesus Christ that is alive and well today! Jesus is coming for a church that is strong and mighty, baptized in the power of the Holy Spirit. 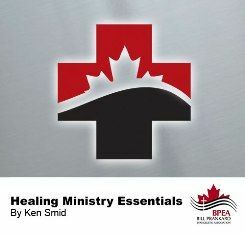 If you are interested in running a healing clinic, or simply learning more about healing ministry in general, then this CD is perfect for you! You will receive clear step-by-step instruction from Ken on the practical and spiritual aspects of a successful healing clinic.